Recently, I had a discussion with one rowsandall.com user about erg technique. We discussed holding a certain power consistently and the role of a consistent stroke length in that. One of the differences between beginners and seasoned rowers is that the latter are able to row a very consistent stroke. Stroke length is consistent from stroke to stroke. This is extremely importsnt for good on the water rowing, but it also helps getting the best out of your erg workouts. Our user went back to his records on rowsandall.com and made two charts. 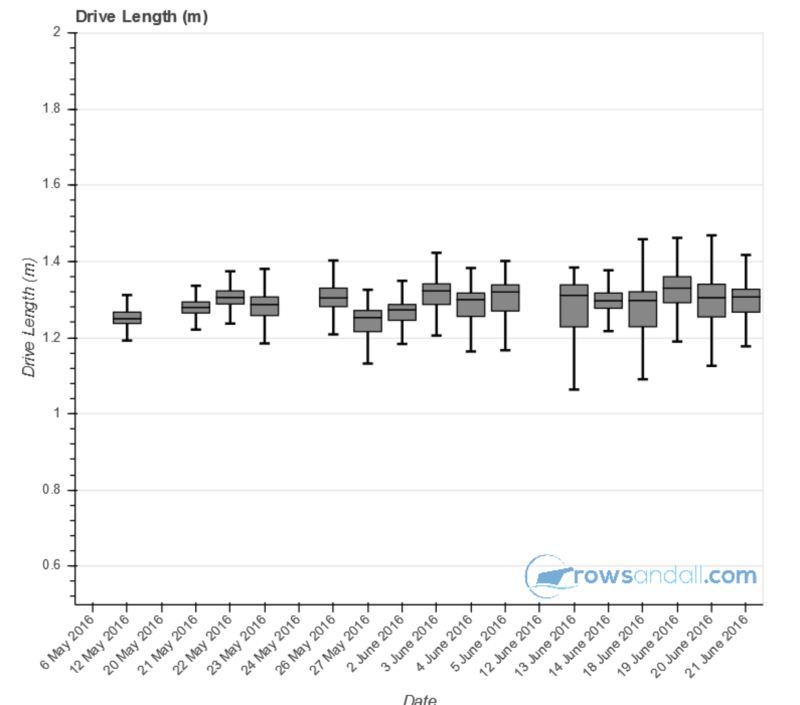 He looked at consistency of stroke length in June 2017 vs June 2016. The strokes are longer. Most of the 2017 rows are close to 1.4 meters. A year ago, our user was well below that most of the time. 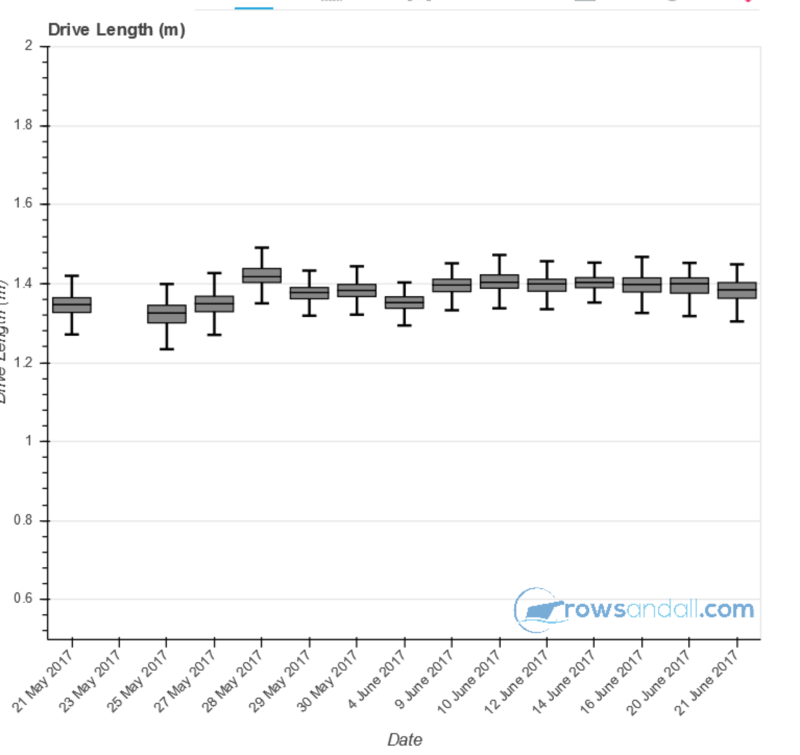 This is a very nice example of how managing your rowing data on rowsandall.com can help you monitor progress!